Ericsson (NASDAQ: ERIC) today announces its intention to acquire FYI Television, the premier entertainment metadata and rich media content supplier based in Grand Prairie, Texas. The acquisition, which is subject to customary closing conditions, will strengthen Ericsson's already industry-leading position in broadcast and media services. FYI Television accumulates and distributes TV entertainment content and linear scheduling data from over 9,000 TV networks daily, aggregating the information into customized formats for various digital, media, content, analytics and print clients for use on their connected devices such as tablets, phones, desktops, internet portals and gaming consoles. The growing range of TV and video services available on a variety of devices creates a wide range of options for viewers to choose between. Based on Ericsson's latest ConsumerLab research, 50 percent of linear TV viewers say they can't find good programming to watch on a daily basis - highlighting the importance of content discovery. Combining FYI Television's US-market expertise in metadata, conversion and integration services with Ericsson's leading position in these areas in Europe will create a powerful global force in content discovery. Whether viewers are watching linear or on-demand video, Ericsson will ensure they can discover content whenever - and wherever - they search for it; and always in the right format. Magnus Mandersson, Executive Vice President and Head of Business Unit Global Services at Ericsson, says: "As the TV industry evolves and viewing behavior changes, we believe that high-quality, rich metadata will be a key component for a personalized TV experience. Combined with our capabilities in TV platforms and content discovery, we will be able to help our customers to improve the video experience and identify new revenue opportunities. FYI Television's expertise and customer base in the US is a great complementary fit for Ericsson and will be an integral part of our growth strategy. It will strengthen our position as one of the leading providers of media services in the world." 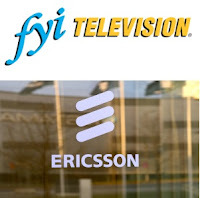 FYI Television's employees will join Business Line Broadcast & Media Services, part of Ericsson's Business Unit Global Services, with the acquisition expected to close in Q1 2016. Earlier this year, Ericsson established a US broadcast and media services hub based in Atlanta, Georgia. The company currently provides closed captioning services to broadcasters around the world from this hub, with plans to roll out video description services over the coming months. Every day, people on all continents watch television programs prepared, managed and broadcast by more than 2,500 Ericsson staff based in Europe, the Middle East, Asia Pacific and the US. Ericsson is the largest provider of content discovery services in Europe, delivering metadata, images, search and recommendations on more than 3,000 TV channels in over 30 languages. Every year, Ericsson Broadcast and Media Services distributes more than 2.7 million hours of programming in more than 90 languages for more than 500 TV channels worldwide. In addition, we provide more than 200,000 hours of captioning each year - 80,000 hours of which is live. FYI Television, Inc. (FYI), the TV metadata and entertainment image content expert, accumulates and distributes TV entertainment content and linear scheduling data from more than 9,000 TV networks daily, aggregating the information into customized formats for various digital, media, content, analytics and print clients for use on their connect devices such as tablets, phones, desktops, internet portals and gaming consoles. FYI's state-of-the-art databases contains more than 2.8 million cast and crew related entities, 1.5 million images directly relating to specific program titles, celebrities and stations, including logos, seasonal key art, movie posters and iconic stills. Through the vast array of applications hundreds of millions of consumers engage with FYI's content daily. FYI content discovery platforms deliver more than 11.5 million words to electronic program guides, websites and connected devices every week.